Asphalt shingles are an incredible option for nearly any homeowner that is considering having a new roof installed. These types of shingles are relatively inexpensive, typically last for more than a decade (when properly installed), and come in a wide range of styles and colors. 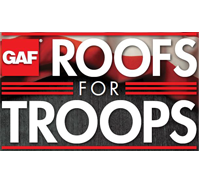 They’re both an affordable and functional roofing option. If you still need some convincing, you need to explore what asphalt shingles are, and why they’re the best choice for roofing when it comes to your home. There are two types of asphalt shingles. 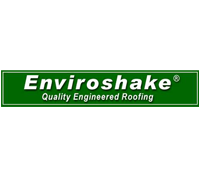 On one hand, you have organic shingles, which are made using recycled paper that has been coupled with ceramic granules, asphalt, and a type of salt in order to create a durable and waterproof result. The second type of asphalt shingles are made with fiberglass. During manufacturing of these shingles, they are based on a reinforcing mat of fiberglass, where they are then covered with asphalt in order to to make them waterproof. The main difference between the two is that organic asphalt shingles are the more durable option, while fiberglass asphalt shingles provide you with better protection for fire. While organic asphalt shingles were more prevalently used in the past, fiberglass have become the more common option in recent years. One of the real benefits you get from choosing asphalt shingles is affordability and value, as they are less pricey than other types of roofing materials. Additionally, asphalt shingles are much more simple to install than some other types of roofing, making installation a quick and efficient process. Considering the lower cost, easy (and substantially less costly) installation, and a lifespan of up to 15 years, it’s no surprise why so many homeowners today are opting to have this type of shingle installed on their new roof. While asphalt shingles do boast a lower cost, don’t be fooled by their price as they are not lacking when it comes to style, in the slightest. There are three different types of asphalt shingle styles to choose from, which include the traditional 3-tab, laminated architectural, and the premium. Regardless of the style of your home, there’s surely an asphalt shingle that would look incredible with it. While 3-tab shingles are the most common choice, architectural options come in as a close second. These shingles give your roof a multi-dimensional look and feel, as you would expect from wood or slate shingles. On the other hand, the premium type boasts a range of patterns to choose from, which gives you (the homeowner) the distinct power to completely customize your home’s roof. 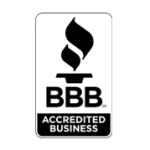 At Eagle Watch Roofing, we understand that it can be difficult to trust your home to just anyone. That’s why we’ve been in business for almost 20 years with an impeccable track record from past customers to back up our quality and attention to putting the customer’s needs first. 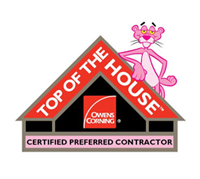 Absolutely none of our roofing work is subcontracted, and we provide continual training for all of our Newnan, Georgia roofing professionals. We’re available every day to discuss a free quote for your next roofing project. Contact Eagle Watch Roofing today!